His shy and nervous looks totally contradict his evolving passion for sports. Hailing from Shalina village in central Kashmir’s Budgam district, Owais Hussain, 14, made his way to Karnataka to play Kho Kho at the highest level in India. An 8th class student of Skylight Higher Secondary Pampore, Owais was selected for Kho Kho championship at national level January this year. As the event concluded, he brought laurels for his school. “Kho Kho didn’t interest me as much as cricket,” he candidly asserts, “but after participating in Kho Kho event at Bakshi Stadium, my confidence and interest for the game got boost.” That was a few years ago. A son of businessman, Owais was perhaps too little to understand how his passion for the game was creating difference in his life. His performance didn’t confine to zonal level only. He was soon playing at district level. Apart from Kho Kho, Owais loves every kind of sport. 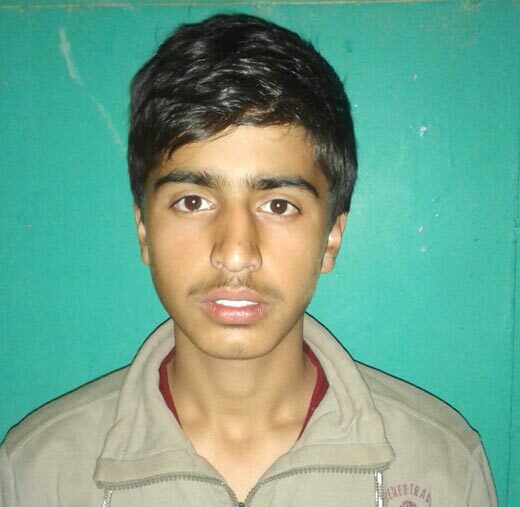 But his shared sports interest hasn’t affected his devotion for the game which has made him one of the youngest Kho Kho players of Jammu and Kashmir. While playing at district level, Owais shone with his brilliant performance. He still cherishes that moment when he received a meritorious certificate from DC Pulwama for his brilliant play. “I thought there is no success beyond it,” he says. “Hailing from the small village, it was great achievement for me.” But he soon realized that it is just a beginning. For the time being, Robert Frost’s famous verses echoed inside his mind: miles to go before I sleep. The game which earned Owais a national berth, is a tag sport played by teams of twelve players—who try to avoid being touched, by members of the opposing team. Only nine players of the team enter the field. It is believed that this sport was first played in the state of Maharshtra, but still no one is sure where its actual origin is. “It is all about running and chasing,” Owais says. “I am good at both; and I guess, it is the reason behind my winning streak.” His ties with the game began six years ago when he was studying in 2nd standard. What appeared a kid’s play for him was soon noticed by his school teachers. Mrs Jamal says that parents today thrust on academics, while they fail to tap sports aptitude of their kids. “I think, this needs to be changed for creating sports culture among kids,” she says. Under the guidance of Mrs Jamal and other teachers, Owais made it to state and national levels. His good show with running and chasing continued there. Owais is also a cricket enthusiast. He is fascinated by the cover drive of Pakistani opening batsman, Ahmad Shahzad and the yorker ball of Sri lankan bowler, Lasith Malinga. He doesn’t support any particular team, but tries to follow every player. He believes every individual has its own speciality. Lately, he is also participating in many swimming competitions.